It has introduced a new retail concept combined with a reinvented interior and improved processes. 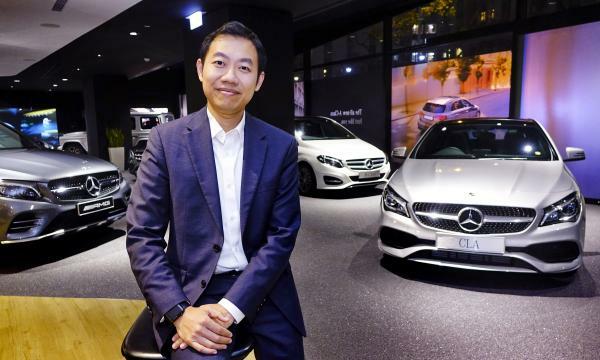 A 30-year-old resident in the old Hung Hom district, Zung Fu’s Mercedes- Benz Kowloon Brand Centre is not set to traditions and conventions. By introducing a new retail concept combined with a reinvented interior and improved processes, the luxurious automobile brand and its exclusive dealer in the city goes full throttle for dynamic growth. Mercedes-Benz and Zung Fu take car purchasing and after sales process to a whole new level of experience. Nestled within the bustling neighbourhood in Kowloon, Mercedes-Benz’s Kowloon Brand Centre combines the showroom and after-sales service customer greeting area with a comfortable lounge. Luring coffee smell, comfortable couches, car configurators and racing simulators, visiting a car dealership is becoming ever more enjoyable. Showroom and service centres used to be heavily sales-focused, the customer journey ending as soon as customers stepped out of the centre. Aaron said the new strategy transform the luxury brand’s relationship with customers; the space no longer for a single purpose of purchasing, it also provides a guest experience that is relaxed and enjoyable. “Visitors have no pressure to buy from anyone, they are ever welcomed to come in and visit us. Our Product Experts are here to introduce our amazing range of cars”, he explained. There are now regular events for the Mercedes-Benz owning community, with themes ranging from Mother’s Day, Father’s Day, Kids’ Day, Macau Grand Prix Festival, as well as the most recent Christmas Fest, making a stance that the brand centre has been specifically designed for the whole family to enjoy. When they rolled out the events, the feedbacks, he said, have been overwhelmingly positive. To further maximise convenience, Zung Fu provides online service booking, courtesy car on demand, as well as same-day maintenance service at its service centres. Customers can opt for “Drop & Go” service by simply dropping off their cars in Causeway Bay in the morning, continue with routines and pick up the already serviced vehicle in the evening. There is also a “Drop & Fly” service at the Hong Kong International Airport. In December 2018, the brand launched a new drop off service location in Shatin upon customer feedbacks. Leveraging on the Kowloon Brand Centre’s success, Mercedes-Benz will be launching the nine-storey Hong Kong Brand Centre in first half of 2019. The premises expands the marque’s focus on the enjoyment of car ownership with new leisure facilities for families, including a dedicated children’s playroom, a clubhouse-style bistro by the harbour, and a spectacular, third-floor terrace overlooking the harbour for hosting exclusive events for the Mercedes-Benz owning community. A winner of the High Flyers Award this year, Aaron added that the team feels honoured, and that the award further reinforces its commitment.“You may expect us to continue with the re-definition of car-purchasing and after sales process in the future,” he said.